‘Africa’s Sons Under Arms’ (ASUA) is an ambitious research project that uses Britain's West India Regiments to explore the relationships between the arming of people of African descent and the changing nature of racial thought from the late 18th to early 20th centuries. It comprises three interrelated components that examine WIR soldiers from different perspectives: as objects of medical scrutiny during their time in the Caribbean; as figures of public interest who served within the wider British army; and as participants in organised sport watched by local and visiting spectators. ASUA is a collaboration based on well-established relationships between the three main investigators (David Lambert, Tim Lockley and Beth Cooper) and the two partner research institutions (Warwick University and the British Library), and drawing on the scholarly and outreach expertise of both. This research project examined the relationship of colonial slavery to African exploration and cartography in the eighteenth and nineteenth centuries. It brings together histories of science and ideas with transnational histories of the Atlantic world and its enslaved ‘others’. My monograph Mastering the Niger: James MacQueen’s African Geography and the Struggle over Atlantic Slavery (University of Chicago Press, 2013) and a number of British Academy-funded papers have re-shaped understanding of pre-Victorian geographical thought, the politics of abolition and the origins of European colonialism in Africa. This project has made significant theoretical and substantive contributions to the study of transnational histories by challenging the core/periphery binaries inherent in much imperial history, and elaborating a ‘networked’ alternative to investigate the discourses, practices and identities that circulated around empires. Moreover, I have propounded new approaches for exploring these networks by examining the ‘imperial careers’ of those involved in empire. The main output of this research was an edited collection of historical-geographical biographies entitled Colonial Lives across the British Empire: Imperial Careering in the Long Nineteenth Century (Cambridge University Press, 2006; edited with Alan Lester). This research is at the forefront of work at the nexus of biography, history and geography, and represents a critical contribution to imperial histories. This pioneering research analysed relationships between metropolitan societies and the settler populations of their overseas empires to demonstrate how these were articulated through discourses of ‘Whiteness’. Far from an unproblematic marker of transimperial affiliation, I have shown White identities to be multiple and contested. This extends work in ‘Whiteness Studies’ – the field that examines the cultural aspects of people identified as ‘white’ – by moving beyond the US focus and instead considering British colonists in the Caribbean (c.1780-1840) and Gibraltar (c.1800-2000). The main output of this research was a monograph entitled White Creole Culture, Politics and Identity during the Age of Abolition (Cambridge University Press, 2005), which was nominated for the 2005 Young Academic Author of the Year Times Higher Education Supplement award. Revealing the uneven geographies of Whiteness, this research thus relocates debates to a transnational context. Based on comparative research in the English, Spanish and French-speaking Caribbean, this research project will draw on concepts of mobility, performance and place from History, Sociology and Cultural Geography to examine how movement at a variety of scales – including bodily gestures, forms of travel and large-scale migrations – were implicated in the articulation of politics and identity during the ‘age of abolition’. This project stems from a concern with counterfactual reasoning, not as a historical method to apply but as a historiographic object and way of relating to the past that has its own histories. Following work on demands for slavery reparations and my role in editing a collection of papers that interrogated counterfactuals, my next step will be to explore the potential for wider research on the role of counterfactual thought of the Americas. This will be achieved through a pilot project on ‘Dependency theory and counterfactual thought’ concerned with the intellectual and philosophical underpinnings to the field of dependency theory as in developed in the Caribbean and Latin America in particular. More broadly, I am interested how the notion of ‘worlds that might have been’ can communicate ideas about historical-geographical change to wider publics. I would be interested in supervising doctoral research in any of these and related areas. ‘“[A] mere cloak for their proud contempt and antipathy towards the African race": Imagining Britain’s West India Regiments in the Caribbean, 1795-1838’ Journal of Imperial and Commonwealth History 46: 4 (2018), pp. 627-650. doi: 10.1080/03086534.2018.1463612. ‘Runaways and strays: Rethinking (non)human agency in Caribbean slave societies’ in Sharon Wilcox and Stephanie Rutherford (eds) Historical Animal Geographies (Abingdon: Routledge, 2018), pp. 185-198. Mastering the Niger: James MacQueen’s African Geography and the Struggle over Atlantic Slavery (University of Chicago Press, 2013). Colonial Lives Across the British Empire: Imperial Careering in the Long Nineteenth Century (Cambridge University Press, 2006), edited with Alan Lester. White Creole Culture, Politics and Identity during the Age of Abolition (Cambridge University Press, 2005). 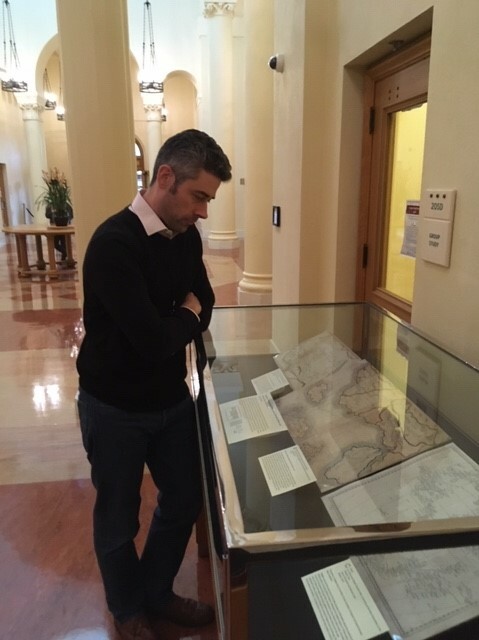 15/2/19 - paper and display at the ‘Mapping and the Global Imaginary, 1500-1900’ conference, David Rumsey Map Center, Stanford University, USA. 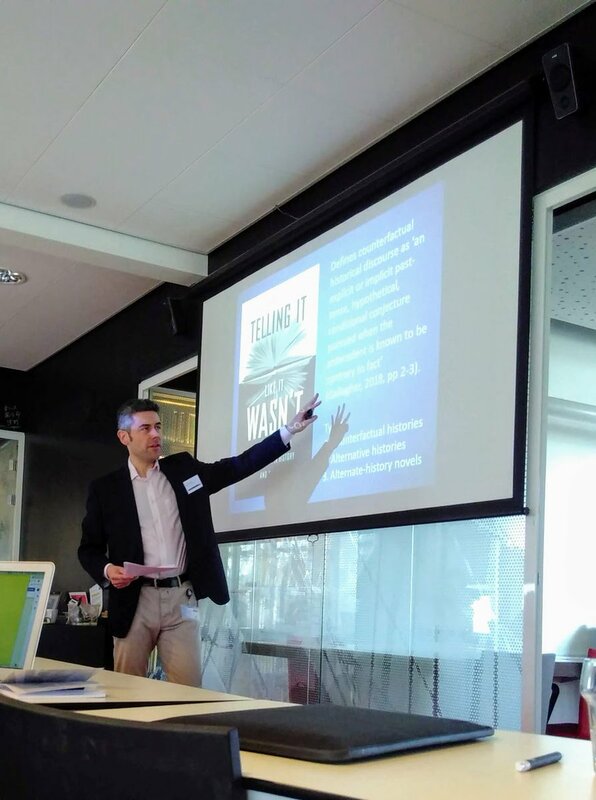 11/2/19 - Opening lecture at the "Looking Backwards to the Future: Studying the Future with Counterfactuals" workshop, Lorentz Centre, Leiden University, The Netherlands.